It’s the biggest event to date on the Drum Corps International Tour and one of the first times drum corps and fans alike will see how this summer’s competition stacks up. The DCI Southwestern Championship presented by Fred J. Miller Inc. will bring 21 of DCI’s 22 World Class corps to the San Antonio Alamodome on Saturday, July 23, and you can watch it all on the DCI Live! streaming video platform. The action gets underway at 11:30 a.m. PT / 1:30 p.m. CT / 2:30 p.m. ET. • With corps splitting time between Florida and the Midwest earlier in July, San Antonio will mark the first major confluence of nearly every World Class corps in a single lineup. Pioneer is the only corps not in attendance on Saturday. • With everyone in the same lineup, San Antonio always provides one of the first true indicators of which corps will be fighting to earn a spot among the top-12 groups that will advance to the DCI World Championship Finals this August. The Academy has been setting itself up as a finalist contender so far this summer. San Antonio will mark the first time this season that the Arizona corps competes against the likes of the Crossmen and Boston Crusaders, corps that have been hovering around the 11th- to 13th-place standings. • A three-corps race that has developed for the top spot will definitely be one that many are keeping a close eye on in San Antonio. To date the Blue Devils have managed to keep their undefeated streak in tact, however, the Bluecoats and Carolina Crown have been on the California corps’ heels all summer long. Bluecoats were within a tenth of the Blue Devils on July 18 in Warrensburg, Missouri, while Crown came within four tenths of a point July 19 in Arkansas. And with Crown passing up the Bluecoats for the first time this summer on Thursday in Texas, it’s anybody’s guess at this point what could happen in San Antonio. • The Cadets have been consistently about two points behind those top corps so far this summer, but history has shown that Texas, particularly San Antonio, can be good to the East Coast powerhouse. In an exciting season of unpredictable finishes in 2015, many may have forgotten that Cadets was the top finisher at last year’s Alamodome event. Back to the 2016 DCI Tour, in recent weeks the Cadets have been working to fend off Santa Clara Vanguard. The two corps have been trading close finishes since first facing each other on July 17, and in three meetings, the two corps have never been more than three-and-a-half tenths away from each other. • Saturday’s Southwestern Championship will kick off with competition between three Open Class corps. Two of those groups, Louisiana Stars and the Guardians are just getting their 2016 summer tours underway. They’ll look to challenge Austin, Texas’ Genesis, one of the top Open Class contenders so far this summer. • After the last corps performs on Saturday, Jeresy Surf and San Antonio’s own Crossmen will rekindle a friendly rivalry. A DrumLine Battle between the two corps’ percussion sections will be a rematch of a 2013 showdown between the two groups. One of the most popular of all time, the video of that original battle has since surpassed more than three million views on YouTube. In a season that so far has been as unpredictable as any in recent history, anything could happen at Saturday’s DCI Southwestern Championship presented by Fred J. Miller. Don’t miss a second of the action! 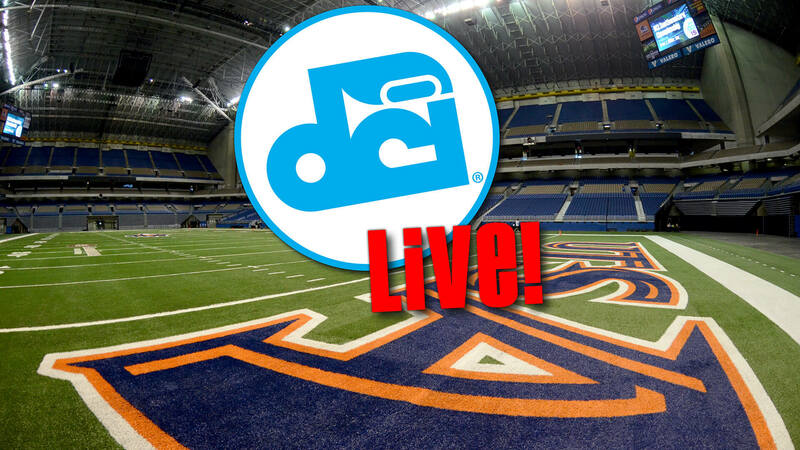 Register to watch and log on via DCI Live!